Inflatable paddleboards offer the joys of paddle boarding with an ease of transportation. 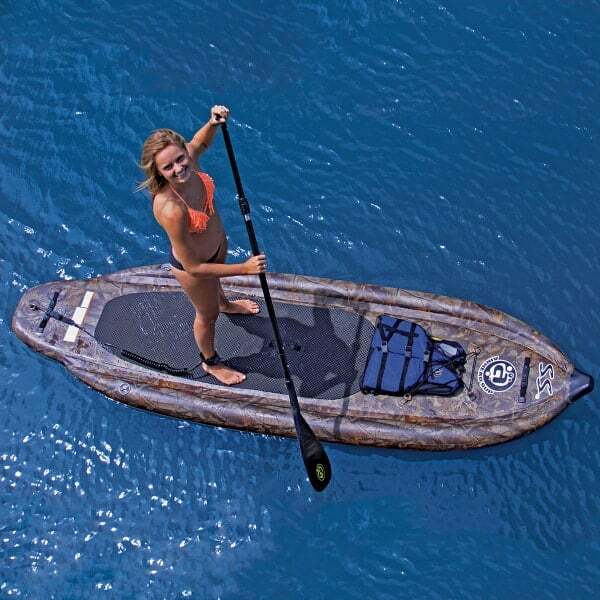 Increased mobility means that you can ride the bus to the beach and then pop up your high quality paddleboard and ride like a champion. 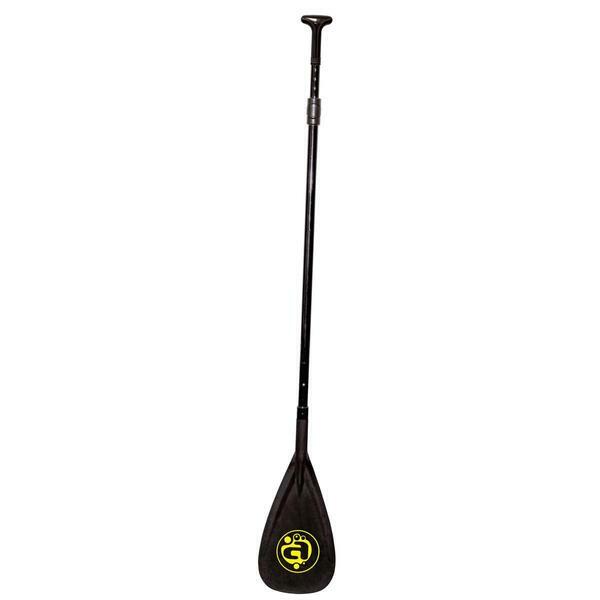 The Airhead Super Stable Paddleboard is aimed at paddlers of all experience and expertise. 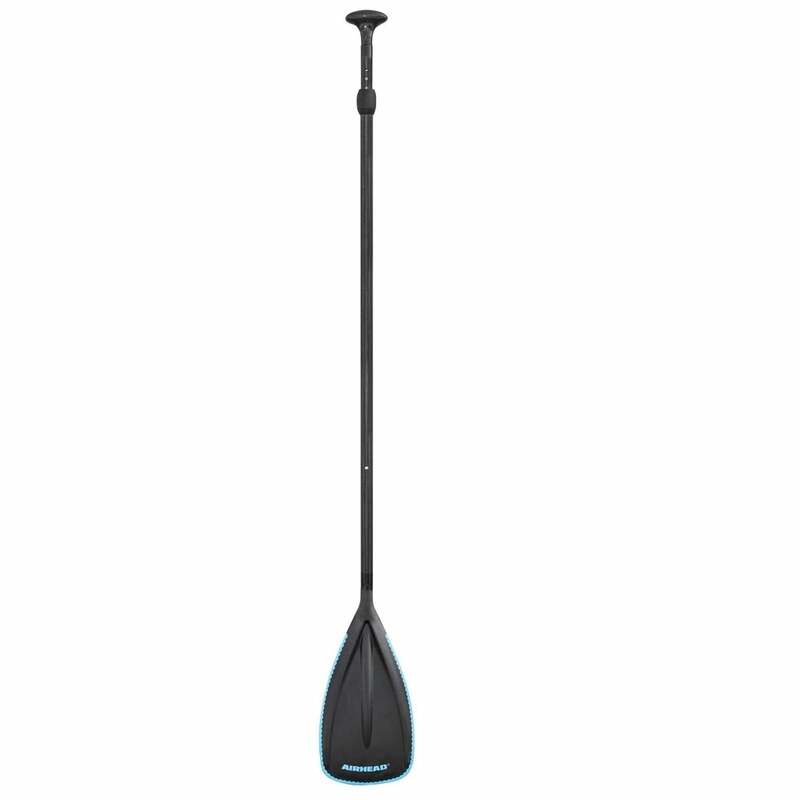 With three stabilizing fins, stiff construction, a low standing area, tapered rails and an aggressive nose, the Airhead Super Stable Paddleboard aims to deliver the most stable ride, regardless of the conditions on the open water. 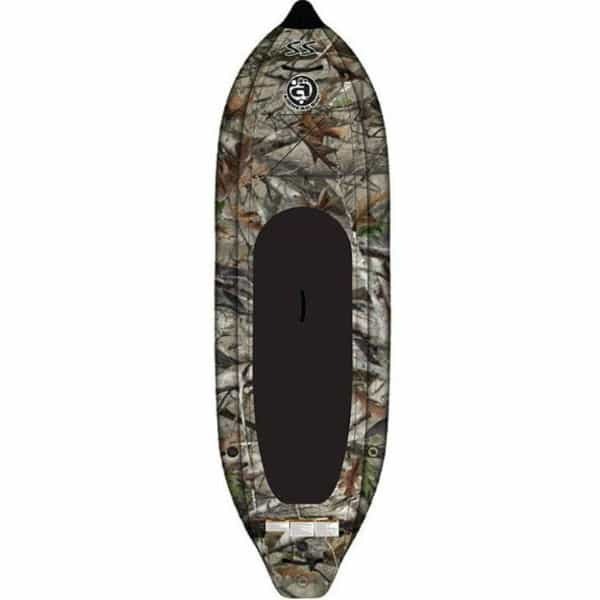 The Airhead SS Paddleboard in Camo comes complete with a backpack for transportation, an easy high-pressure pump for inflation and deflation, a gauge to hit the perfect firmness easily, and a valve wrench. 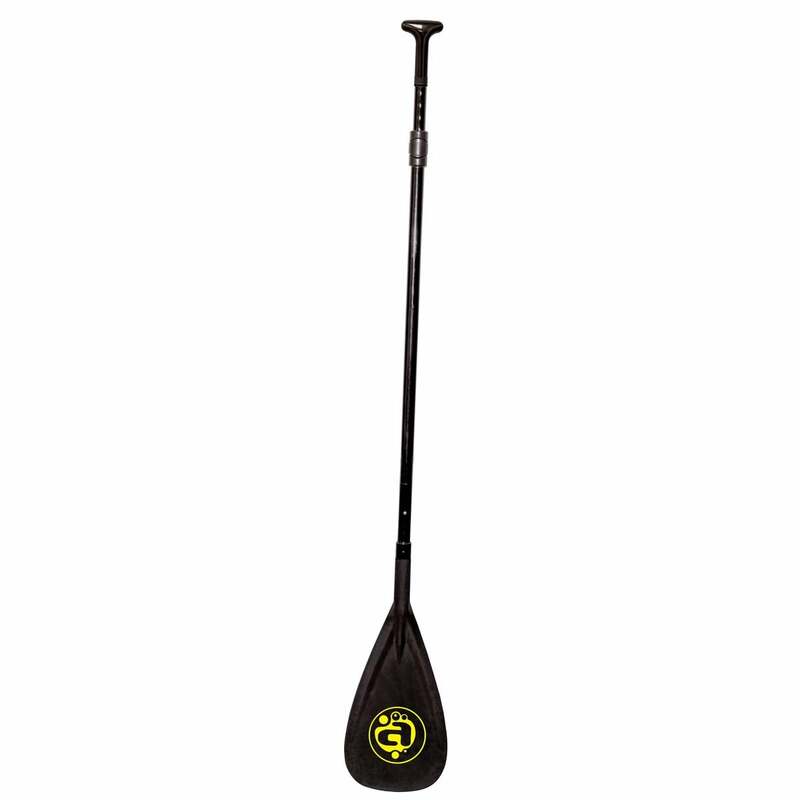 The Airhead Super Stable Paddleboard comes in two color patterns. This version is the camouflage version, and you may also find the blue and white pattern on another Family Leisure page.